We have many different custom kitchen options available to our clients in the Huntersville, NC area, and our experienced contractors will take over the work from start to finish. If you are looking for something more for your custom kitchen, call us at Carolinas Custom Kitchen & Bath Center. We have many different options available to our clients in the Huntersville area, and our experienced contractors will take over the work from start to finish. You can stop by our showroom in Mooresville to view examples of fully designed kitchens and bathrooms to get a better idea of what materials you like. 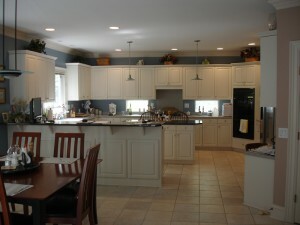 We can also come to your home to create a design that will make your kitchen more functional and visually appealing.